What if your friend is a friar? At 180 degrees C fan will do nicely. After baking a friend, don’t forget to send flours. Wouldn’t want a half-baked friend, would you? 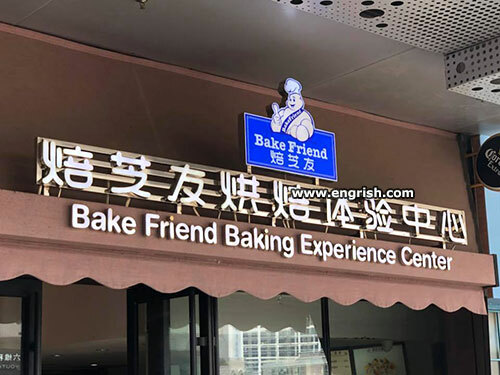 Before baking, a good friend should be gently folded, not beaten. Hey baked friend, want to bake some pot brownies? That Bake Friend guy was really scary in “Ghostbusters”. Q: How many California baking friends does it take to make a magic mushroom pizza? A: Three. One to bake the pie and two more to share the EXPERIENCE. “In Space, no one can hear dough scream”. @Pete 1046. Like the left wing feminist’s joke – at one of our Unis. Q. How many Australian men does it take to screw in a light-bulb. HMM! Like the magic food which stops Australian women fu—-g.
Baking Fiends turns them into Gargoyles. Don’t forget to bring you worst friend along . . . If you’re not good at baking you get roasted. They just got a Cease and Desist letter from the Stay-puff marshmallow man’ lawyers. He was a sushi Chef, but he had to give it up. The Japanese didn’t want no Nigiri maki their Hamachi. Yo see? He was a black man….Oh, never mind. As for wedding cake…yeah it has that affect in many MANY countries around the globe! OK well that was one attempt at Pidgin Japlish…I guess…. No threat by an American lawyer would ever stop a Chinese Knock-Off maker worth his salt…or worth his oyster sauce, rather. I guess if they bake bread, some Foul Mudamas might go well with it. @Marum | 5:28 pm: You need to stop getting your brains from the disposal, mate! Even the ones from Woolworths would be fresher. @DnT. 1928. These are OK. They are ex army. So they have obviously, never ever, been used. @Marum: Oxymoron: Someone who thinks they will pass their hand quickly through the flame of a welding torch without damage. @Marum: i just realised! You must have been born just before WWII ended. YUP! 1944. Beware the ides of March. I can still vaguely remember Ration Cards. It’s time to learn how to cross the streams.